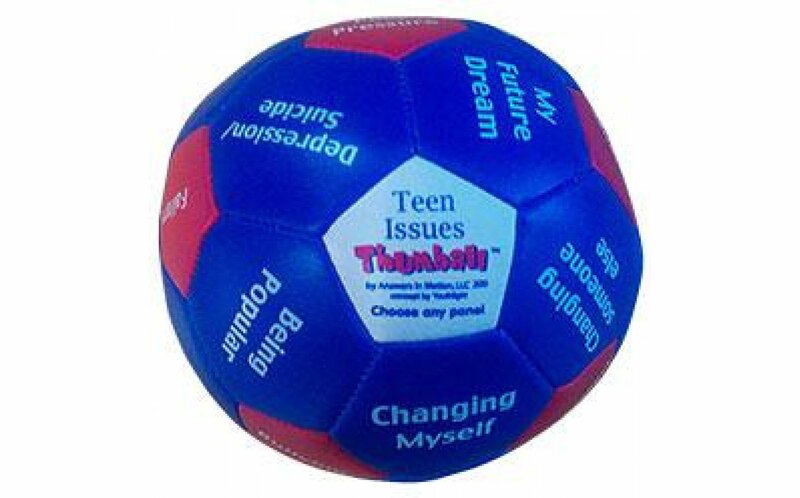 Thumball is a soft stuffed ball to throw, roll, or pass in a circle or randomly. Catch it! Look under your thumb. Respond to the prompt. Kids absolutely love this interactive tool that will get them talking and sharing. Without even knowing it, you will be encouraging the use of interpersonal skills including taking turns, eye contact, listening, responding, valuing similarities and respecting individual differences. 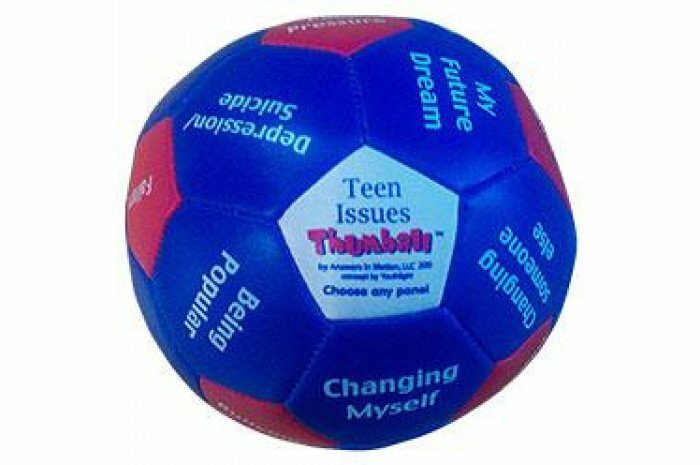 Great therapeutic tool for group therapy. Give a chance to successfully complete psychotherapy.